1 Malala Yousafzai holds flowers after speaking at the Library of Birmingham, in Birmingham, England, after she was named as winner of The Nobel Peace Prize. 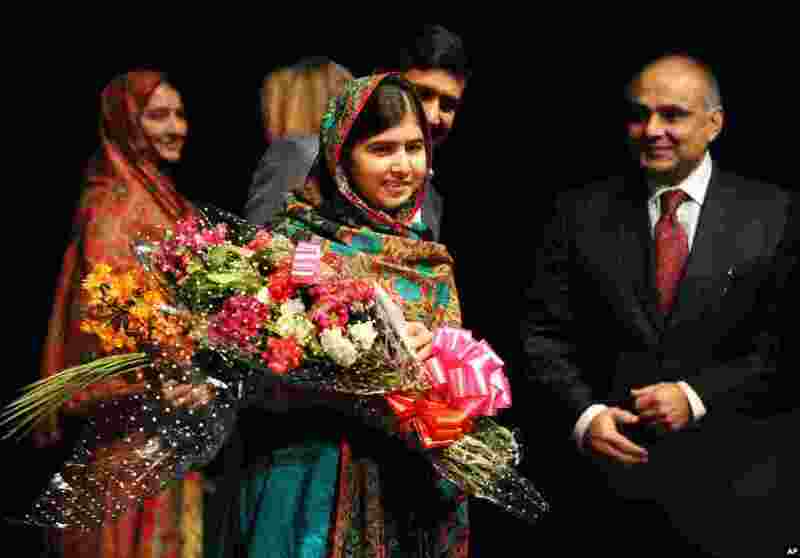 The Prize was awarded jointly to Yousafzai of Pakistan and Kailash Satyarthi of India. 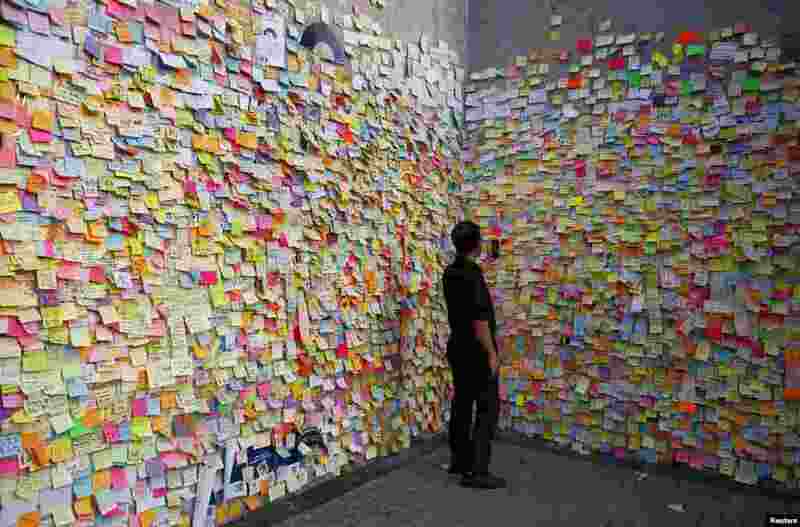 2 A man takes a picture on a wall full of messages left by pro-democracy protesters outside the government headquarters in Hong Kong. Hong Kong student protesters say they are determined to maintain their campaign for full democracy. 3 U.S. actress Angelina Jolie, right, is presented with the Insignia of an Honorary Dame Grand Cross of the Most Distinguished Order of St Michael and St George by Britain's Queen Elizabeth II at Buckingham Palace, London. 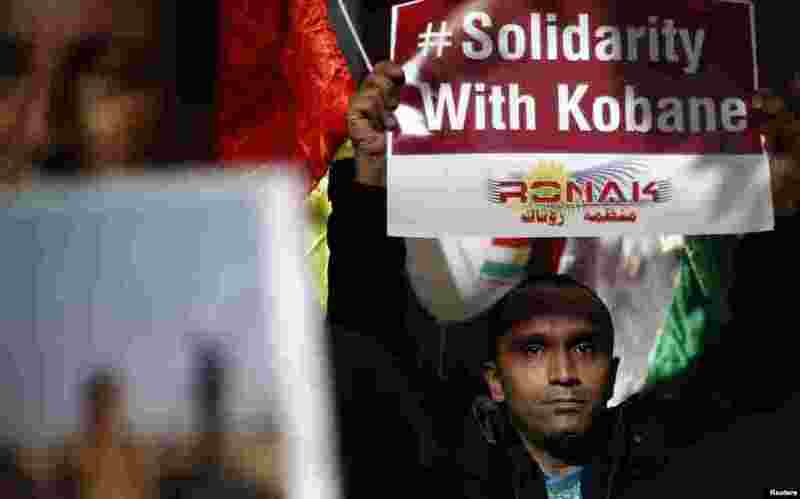 4 Kurdish men living in Bulgaria hold posters during a protest in solidarity with the Syrian Kurds in front of the European Parliament and European Commission offices in Sofia.